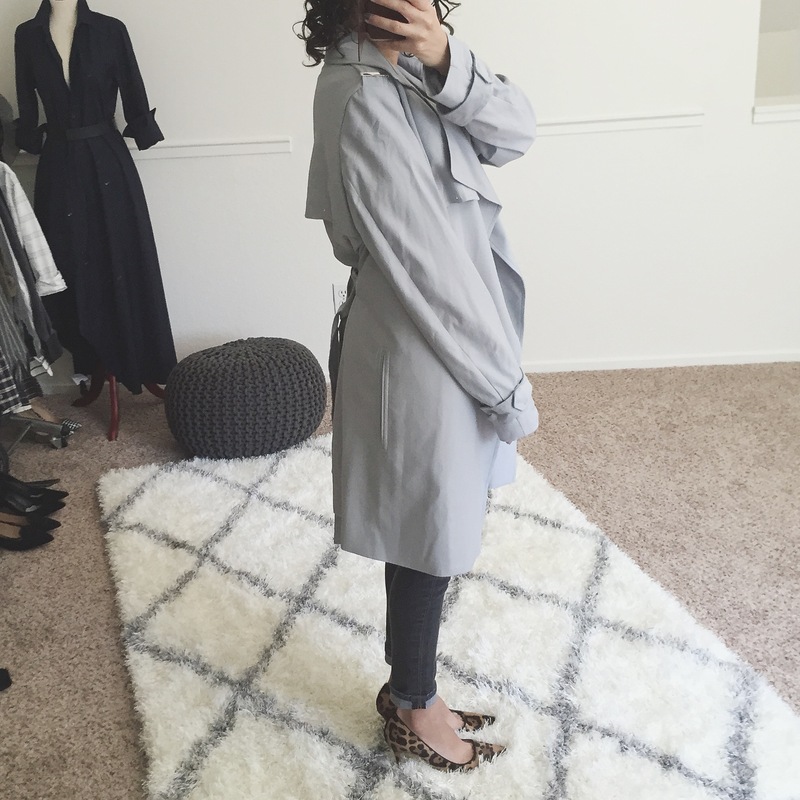 For this week’s Fit Review Friday, I have a pretty flowy trench from Mango, with a comparison to one from Banana Republic petites. As per usual, you can find my measurements for comparison here. 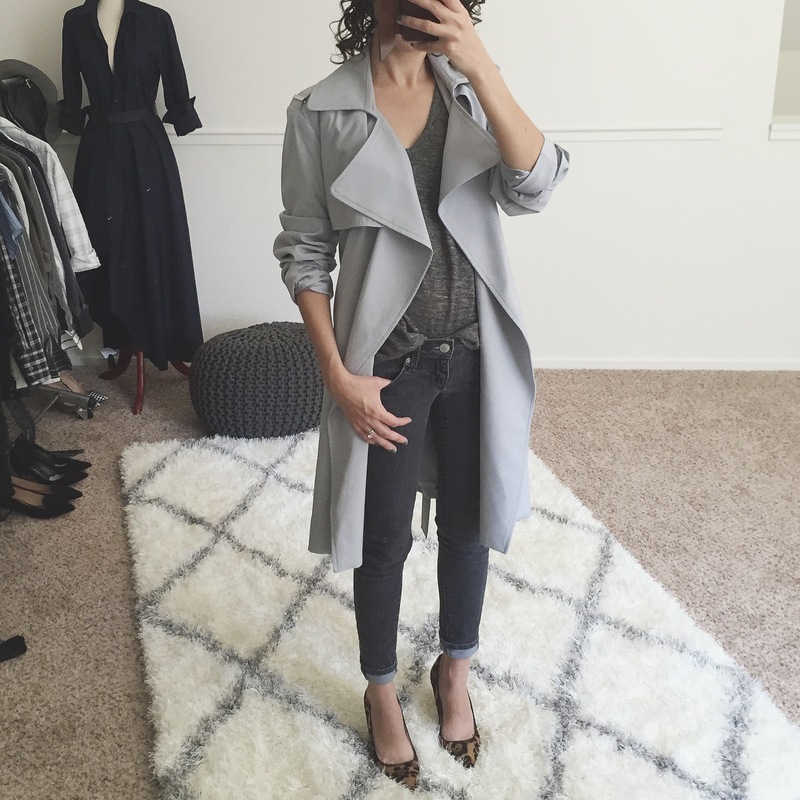 High off my success with the Banana Republic petite drapey trench, I tried my luck with this pretty soft grey version from Mango. 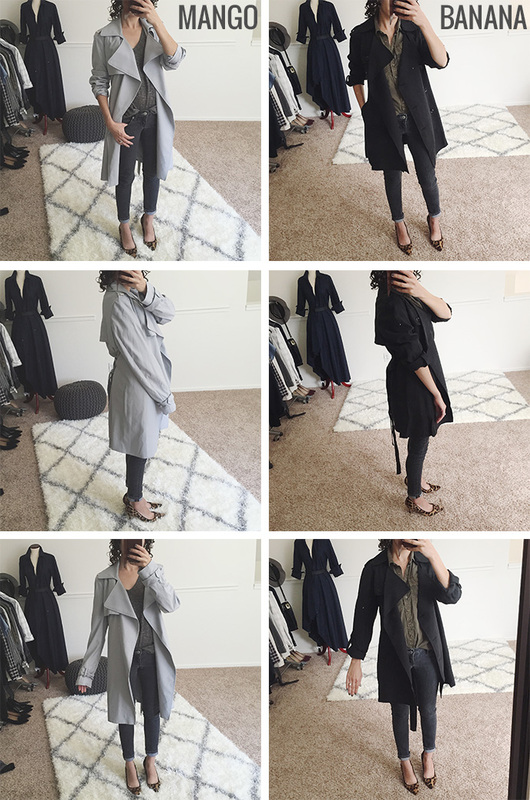 Since draped trenches are meant to have that slightly oversized, relaxed fit, I hoped I’d be able to it pull off. 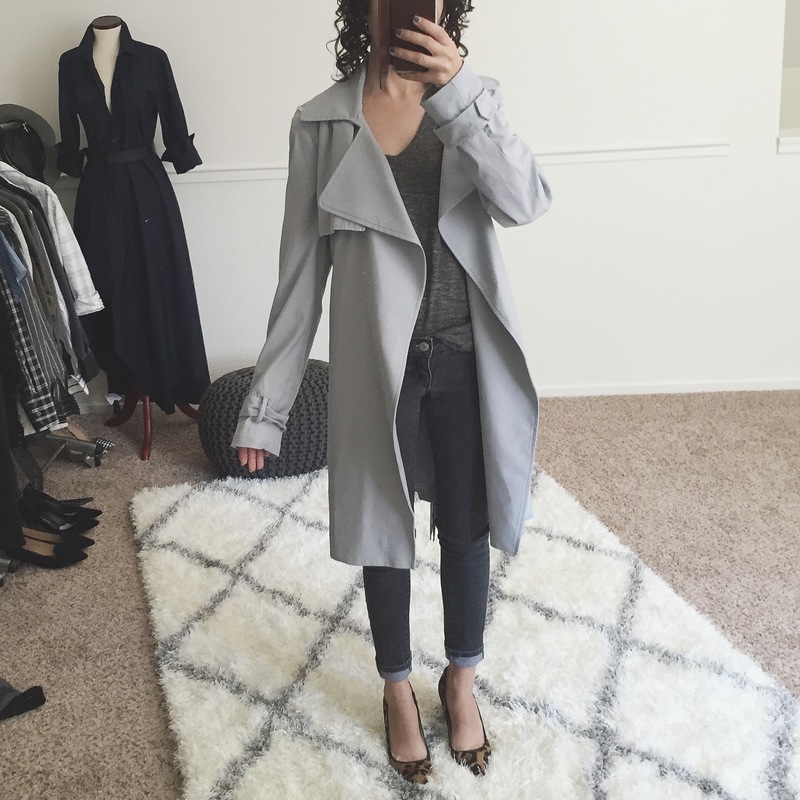 The good news…the color is really pretty and I would love to add something in this soft grey to my wardrobe. The bad news…the sizing is just too oversized on my frame and I felt like I was wearing a shapeless robe. Other issues: the lapels on this coat felt too large for my proportions. The whole coat looked really wide across the back. The sleeves were very generously cut. The fabric was decent, but not as nice and substantial feeling as the Banana Republic version. All in all, the second I put it on, I knew it was going back. I’ll note here that I think this will be my last order from Mango. I’ve yet to keep anything I’ve ordered there, and while in the past I could return an item for free to the Mango store in Southern California (South Coast Plaza, which has apparently closed recently, leaving no stores left in California), I’m no longer near a store for returns and must make them by mail. Mango sends a pre-addressed label with your purchase (which the postal worker promptly declared printed incorrectly, scribbling things out with a giant black marker), but you are responsible for postage & insurance coverage. To return this trench to Mango cost me $15 in shipping and insurance charges…a pretty hefty charge to try something on that, given my history, probably won’t fit. I know it’s not a perfect comparison, but I hope you can visually see there is just less fabric all around on this petite version from Banana Republic. I’m also a big fan of the smaller lapels, as they look much more in proportion to my frame. 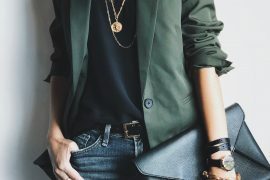 The Banana republic trench is definitely more flattering! The fee to return the coat is really high so it’s indeed not worth it to make any more purchases that probably won’t fit well! Thanks for sharing! 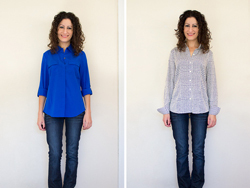 I’m really loving your thoughtful Friday fit reviews! Thanks for posting about the leather jacket last week, I’ve been looking for one forever and it just came in the mail. The fit and the price were spot on!